Nestled in the rural plains of central California, in one of the highest-producing agricultural regions in the nation, Porterville Unified School District (PUSD) is home to 14,000 students, most of whom are Latino students from low-income families. Nearly ten years ago, district leaders recognized that their career and technical education (CTE) programs lacked rigor and were not tied to the core academic curriculum. They also recognized that to achieve the district’s vision of ensuring that students graduated from high school equally prepared for college and a career, and empowered to make their own choices about which postsecondary route to take, some reforms needed to take place. As a means for school improvement and to veer from the traditional vocational education route, PUSD began implementing Linked Learning in 2009, as part of the California Linked Learning District Initiative. Linked Learning is an approach to transforming high school education that combines rigorous academics, career-based learning in the classroom, work-based learning, and integrated student supports. High schools implementing Linked Learning focus on specific industry themes, such as engineering, health care, performing arts, and others, to provide students with a relevant and personalized learning experience that gives them the confidence and skills to succeed in postsecondary education and a career. Leaders initially implemented Linked Learning at one school—Harmony Magnet Academy (Harmony), a newly built open-enrollment small school that enrolled all of its nearly 500 students in one of two themed Linked Learning career pathways (engineering and performing arts). The district created Harmony specifically to test this new approach of career pathways that cater to students’ individual interests and to get buy-in throughout the district to implement Linked Learning within the district’s larger comprehensive high schools. Once the approach took hold at Harmony, the momentum increased and, “[i]n a matter of just a few years, we see the ‘gospel of pathways’ spreading across our K–12 educational system and local community,” says Cindy Brown, PUSD director of student pathways, in a case study about PUSD conducted by the Stanford Center for Opportunity Policy in Education (SCOPE). The leadership team at PUSD, led by Snavely, was intentional about building broad support for this new reform strategy. District leaders, many of whom live in Porterville and graduated from the district’s schools, organized a series of presentations for local Parent Teacher Associations, the teacher’s union, civic groups, and community organizations. During these “road shows,” district leaders engaged parents, teachers, students, and community members and educated them about the opportunities this new way of teaching and learning offered. Additionally, district administrators and school personnel built a relationship with the Porterville Chamber of Commerce, which captured the support of local businesses for Linked Learning. The district now maintains advisory boards for each theme-based career pathway that include business leaders and community members who interact directly with teachers and students at specific school sites. 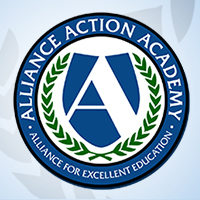 Additionally, advisory board members provide curriculum advice, career mentoring, guest speaking, teacher externships, industry field trips, and student internships and job shadowing to provide real-world connections for students’ learning, according to the SCOPE case study. Through PUSD’s Linked Learning approach students benefit from small learning communities and take classes as part of a cohort; experience integrated curriculum across their CTE and academic courses; participate in work-based learning tied to their industry-themed curriculum; benefit from personalized student supports that meet the academic, personal, social, and emotional needs of the student; and increase their learning time through block scheduling that allows time for accelerated and differentiated instruction. Each industry pathway also has counselors and academic assistants who mentor students to provide additional personal, academic, and work-based learning support, says Brown. The district’s master schedule also allows pathway teachers within the same school to have common planning time, which enables teachers to meet as pathway teams weekly. During these meetings, teachers identify students who need academic and personal intervention and create strategies to target those interventions to meet the academic and social-emotional needs of specific students. Students struggling academically can receive additional individual support from their teachers during the school day as well as peer tutoring after school and on weekends. The school district also offers specialized math and English enrichment courses for students who need extra support in those subjects specifically and a summer “bridge” program that helps incoming ninth graders “kick start” their study skills, says Brown. The district did not implement these changes haphazardly. The PUSD leadership team understood the necessity of equipping both central office staff and pathway teachers with the training and technical support necessary to implement and sustain the approach. The district created a new office dedicated exclusively to managing Linked Learning and providing that support and guidance to the career pathway leaders at each school site. With this support, district officials empowered school-based educators to develop the vision, design, and curricula for their school’s career pathways with significant autonomy. This “bottom-up” approach has deepened the sense of ownership teaching staff have for Linked Learning. Today, 50 percent of the district’s high school students participate in twelve pathways open to all students districtwide across five high schools. The reform strategies adopted in PUSD, including the integration of personalized learning through the Linked Learning approach, have led to positive outcomes for all students in the district. Students enrolled in Linked Learning pathways graduate at higher rates, score higher rates of proficiency on statewide assessments, take more Advanced Placement courses, and graduate with college- and career-ready diplomas at higher rates than their peers not enrolled in Linked Learning pathways. © Alliance for Excellent Education, August 2016. An asterisk (*) appears to protect student privacy in those categories with ten or fewer students. Students who meet University of California (UC) and/or CSU (California State University) requirements are those who have satisfied college-preparatory course requirements for admission into California’s four-year university systems. Data presented in these charts represents the percentage of tenth-grade students who passed the California High School Exit Exam. An asterisk (*) appears to protect student privacy in those categories with ten or fewer students.